The following movies depict the lives of alcoholics and how they affect those around them. New comers to AA wondering about what it feels like being in an AA meeting will find an excellent introduction in some of the movies mentioned here. A married couple whose bond is built on a mutual love of alcohol gets their relationship put to the test when the wife decides to get sober.. When Blake Edwards' powerful film of J.P. Miller's heartrendering teleplay Days of Wine and Roses hit movie screens, it won critical raves, box-office success and shone brightly as a career highlight for its two Oscar-nominated stars, Jack Lemmon and Lee Remick, playing a couple caught in alcoholism's web. A San Francisco public-relations hotshot is a "social" drinker... who never stops socializing. His vivacious wife starts drinking to keep him company. They live for good times. But eventually good times turn bad. Days of Wine and Roses earned a total five Academy Award nominations and a Best Song Oscarfoor its haunting Henry Mancini/Johny Mercer title tune. A poignant, harrowing portrait of human lives at their lowerst, it also reflects filmmaking at its height. When the comic star of Night Shift and Beetlejuice tackled his first dramatic role, the result was one of Michael Keaton's best performances ever, earning the Natinal Society of Film Critics Best Actor Award. Keaton plays real-estate broker Daryl Poytner, whse occaine haibt nearly consumes him until he enters a local detox program promising discretion and privacy. It also guarantees one thing more: the toughest battle of his life. Powerfully directed by Glenn Gordon Caron and boasting other great work from Kathy Baker, Morgan Freeman and M. Emmet Walsh, Clean and Sober is a hard-hitting study of besting personal demons... one day a t a time. Two of Hollywood's most popular stars, Meg Ryan (You've Fot Mail) and Andy Garcia (Desperate Measures, The Godfather Part III), deliver crtically acclaimed performances in this inspiring mootioon picture hit. 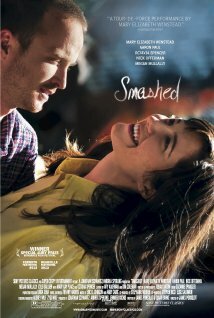 As Alice and Michael, Ryan and Garcia are a passinate coouple whose once-stable marriage is rocked by Alice's increasing dependence on alcohol. As theystrive to overcome this challenge, they discover a renewed sense of love and commitment . Infused with hope and riveting star performances, When a Man Loves A Woman is a must-see story of fiery passion  and the enduring power of love. The Best Picture of 1945 has lost none of its bite or power in this uncompromising look at the devastating effects of alcoholism. Ironically, this brilliant Billy Wilder film was almost never released because of poor reaction by preview audiences unaccustomed to such stark realism from Hoollywood, but the film has since gone on to be regarded as one of the all-time great dramas in movie history. Ray Milland's haunting portrayal of a would-be writer's dissatisfaction with his life leads him on a self-destructive three-day binge. Filled with riveting imagery, the multiple Academy Award-winner offers an unforgettable view of life on the edge. Here's another example of TV giving James Woods the chance to stretch out from the intense-psycho roles he seems restricted to in too many of his movies. In My Name Is Bill W. he plays Bill Wilson, the overreaching businessman from the Roaring '20s who went on to found Alcoholics Anonymous. Woods gets plenty of chances to stretch out here in Bill's headlong slide to the bottom, through the terrors of the Wall Street crash (which amplifies a two-fisted drinking problem) and into the loss of everything he holds dear. Yet Woods also is convincing as the man who understands just how insidious his disease is and learns to try to take everything one day at a time. He receives strong support from James Garner as the alcoholic physician who teams with Bill to make AA a viable proposition. To appreciate 28 Days, it's best to be thankful that director Betty Thomas hasn't forced Sandra Bullock into a remake of Clean and Sober. Instead Thomas has balanced her comedic sensibility (evident in Dr. Dolittle and Private Parts) with the seriousness of alcoholism and substance abuse, and she succeeds without compromising the gravity of the subject matter. Some critics have scoffed at the movie's breezy, formulaic portrait of 27-year-old boozer and pill-popper Gwen Cummings (Bullock), but this smooth-running star vehicle does for Bullock what Erin Brockovich did for Julia Roberts, focusing her appeal in a substantial role without taxing the limits of her talent. As played by Bullock, Gwen is an alcoholic in denial whose latest bender with boozer boyfriend Jasper (Dominic West) ruins the wedding of her sister (Elizabeth Perkins) and lands her in a month-long rehab program with the requisite gang of struggling drunks and junkies. Newcomer Alan Tudyk steals his scenes as a gay German rehabber who might've dropped in from a Berlin performance-art exhibit, and Steve Buscemi aptly conveys the weary commitment of a counselor who's seen it all. Thomas has surrounded Bullock with a sharp ensemble, and the addition of singer-songwriter Loudon Wainwright III (as a kind of Greek chorus crooner) is sublimely inspired. Certainly no surprises here  the warring sisters will reconcile, and at least one rehabber will fail to recover  but there's ample pleasure to be found in Bullock's finely tuned performance, and in Thomas's inclusion of flashbacks and tangents that add depth and laughter in just the right dosage.